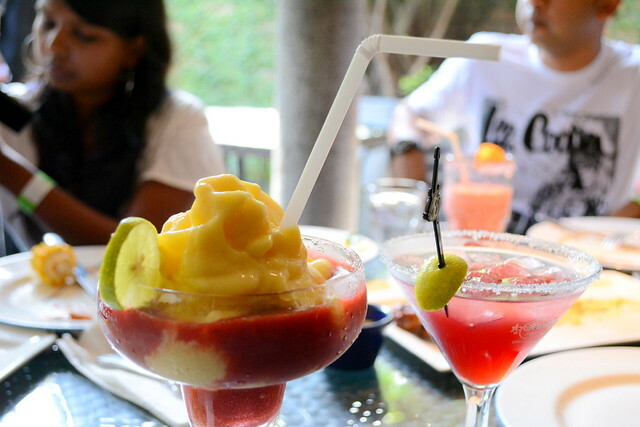 We know that Hard Rock Cafe is known for innovations and trend setters in the their industry with the food,Live music, drinks, Decor and have been always setting high standards. 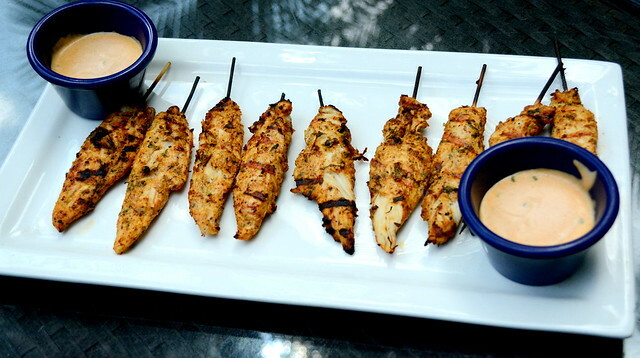 Hard Rock cafe,Bangalore had come up with Sunday Grill which is the Sunday brunch at hard rock cafe with live grill barbeque and pairing it with some amazing cocktails. 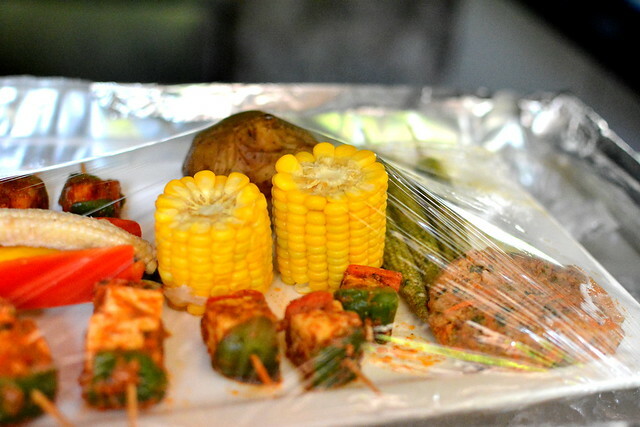 Food Bloggers from Bangalore were invited to experience the first of its kind Sunday Barbeque Grill cook out at HRC and spend some quality time with like minded people,Family and friends. 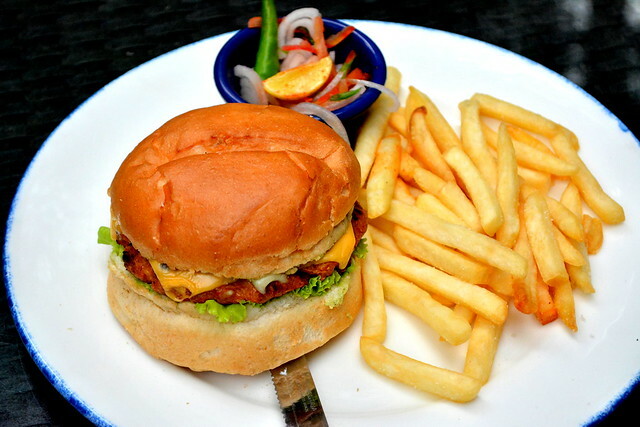 The Sunday Grill offers assorted option of Veg and non veg grill options, salads, starters, burgers and dessert. There is an option for unlimited beer with the menu as well. We met Mr Niranjan who is the head chef at HRC,Bangalore.He took us around the open grill and the barbeque place with a preview of what’s in store for us. We started off with some good cocktails such as berrylicious cooler and it is pretty refreshing. We had two salad options in the veg and 2 in the non veg. 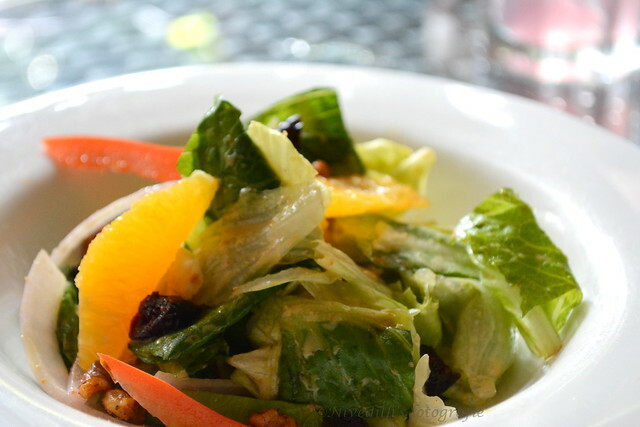 Citrus Salad was perfectly made with lots of flavors playing around the dish,Citrus,Tangy flavors etc. 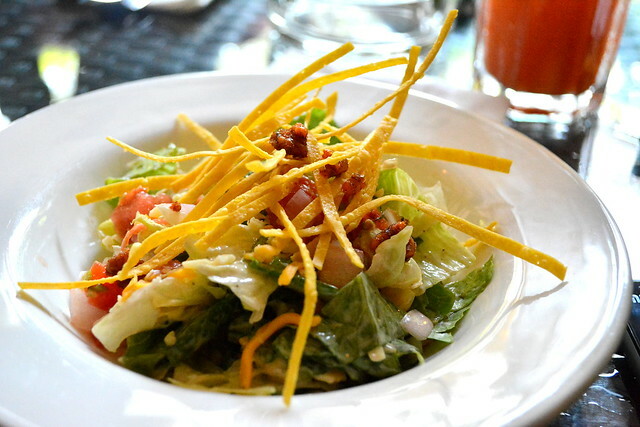 The Hay stack salad was good,but could have been better. 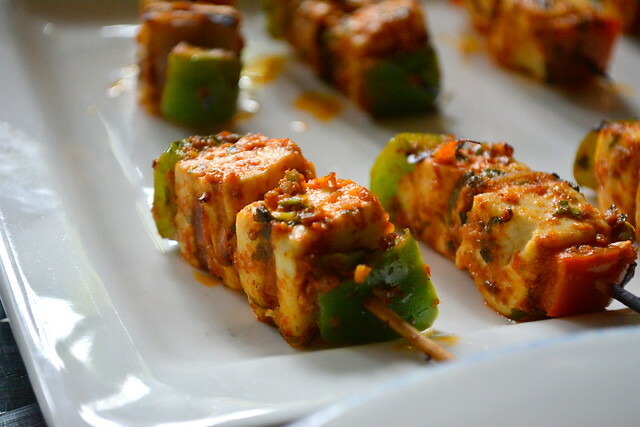 The Paneer skewers were well made with flavors of bell peppers bustling aloud. 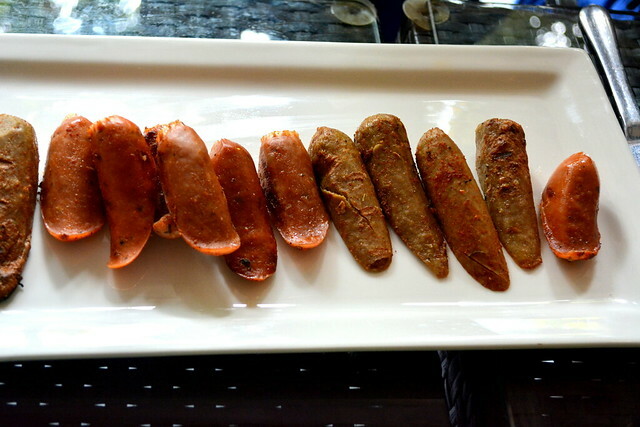 Assorted sausages platter was good too especially a good appetizer for kids to munch on. 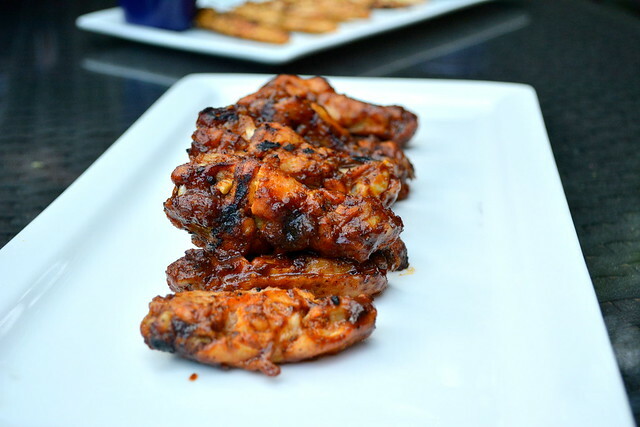 Spicy Chicken Drumsticks had lots of flavors oozing out as well and well made. Hickory BBQ Chicken was good and perfectly made. 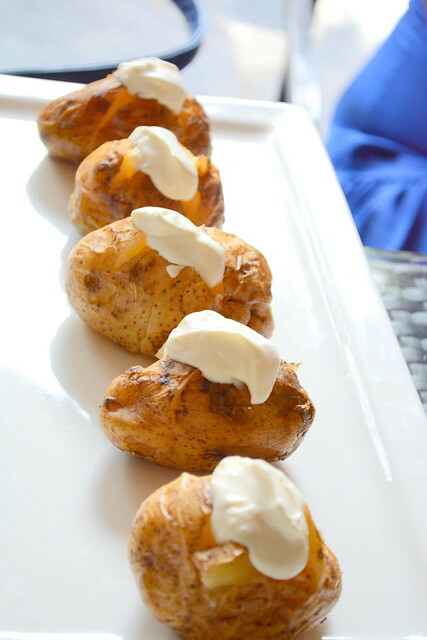 Jacket Potatoes were fairly ordinary and bland, some more flavorings would do a lot of wonders to them. 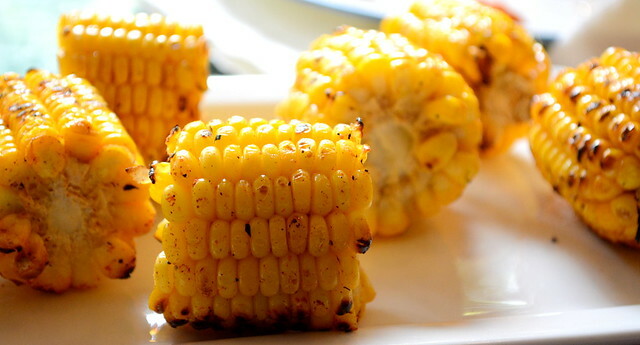 The corn on the cob was also tasty. The World Famous Legendary Veg Burger was pretty good as always and i never miss it. Finally, the star of the evening is a brownie dessert was awesome and just couldn’t resist eating just one. 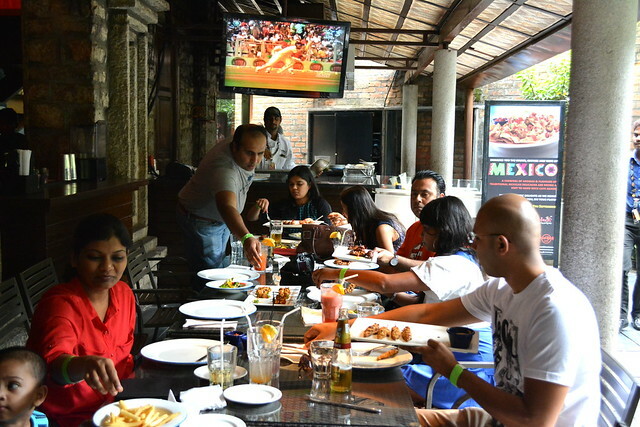 Had a nice Sunday afternoon with fellow bloggers and would recommend the Sunday grill with 3.5/5,with dessert and some good grill too and spend the Sunday lazy noon at HRC with family and friends The experience comes at a price of 1199/- + taxes for food only and 1499/- + taxes for food and unlimited beer.